Wow – A million smackers for a wine book! This article came across one of my wine news feeds yesterday, and when I saw the title I thought it was a joke or some contest. 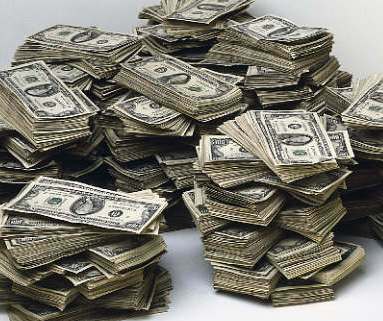 It is in fact the truth, $1.12 million dollars will get you a 66 pound book and oh yeah 600 bottles of wine. The wine book from from British publisher Kraken Opus will feature what they deem the 100 best wineries in the world, and with the purchase of the book you will get 6 bottles of wine from each of those wineries. That is about an average bottle price of $1866 dollars. I can imagine that some Bordeaux 1st growths and some Grand Cru Burgundy wines will be in the mix, as well as some “cult” wineries from California. Still not sure it is worth the price tag, but it will be interesting to see the list of wineries. Only 100 copies will be released and 25 are already pre-ordered, so act fast if you got a million bucks burning a hole in your pocket. Today is the due date for the first book report for the Wine Book Club. The wine book club was the idea of Dr Debs from the blog Good Wine Under $20, as great way to share our thoughts and views on literature with other wine bloggers and to help reduce the stack of wine books next to most of our beds. The task of deciding on the first choice of reading material for the book club was giving to David of McDuff’s Food and Wine Trail. He chose a book that I did not actually have on the shelf titled Vino Italiano, but luckily it was in stock at the local Barnes and Noble. Well I have to admit that if we were back in 2nd grade, I would probably get a C- on this report. Unfortunately I did not read the whole book but I feel that I read enough to give a good run down and answer a few of the questions that David gave as “helpers” for our book report. Each chapter of the book gives you great detail into the different wine making regions of Italy. The chapters start with a wonderful narrative of the authors visit to that specific region. I think this is the part of the book that separates it from other wine books. To give a metaphor from our beloved industry, if each chapter were a glass of wine, the beginning page or two would symbolize, for me, the terroir. The amount of information in this book is staggering, but I guess most books on the subject of wine are this way. For that reason, I think that the best utilization of this book would be as a reference tool, a great one at that. I wish I had had this book last year before we went to Italy, it would have been quite helpful. It has opened my eyes to new varietals that I now have in the wine cellar, that in future blog posts I will point out as purchases due to the book. I am totally pleased with this book and am glad I have it on my shelf. I wish I had read more chapters, as I only read about ½ of the book prior to this review, but what I did read either clarified facts or taught me a BUNCH of new ones. Great suggestion David and a successful first book club meeting Dr. Debs. 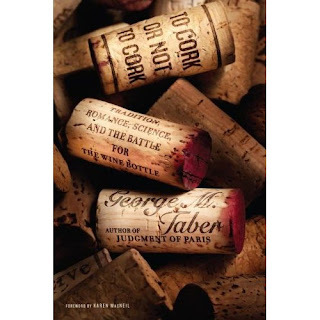 New Wine Book – "To Cork or Not To Cork"
A new book is out this month by author George Taber, writer of “Judgment of Paris”. I was really impressed by Judgment of Paris and am looking forward to reading this one as well. The forward of the book is by Karen MacNeil author of the “Wine Bible” (which I also own). The book retails for around $26 and is currently only available in hardback.Here is an excerpt from an article on the book from the Napa Valley Register. If you pick up the book and give it a read, let me know what you think. As soon as I get it, and read it – I will post a review.Cheers!